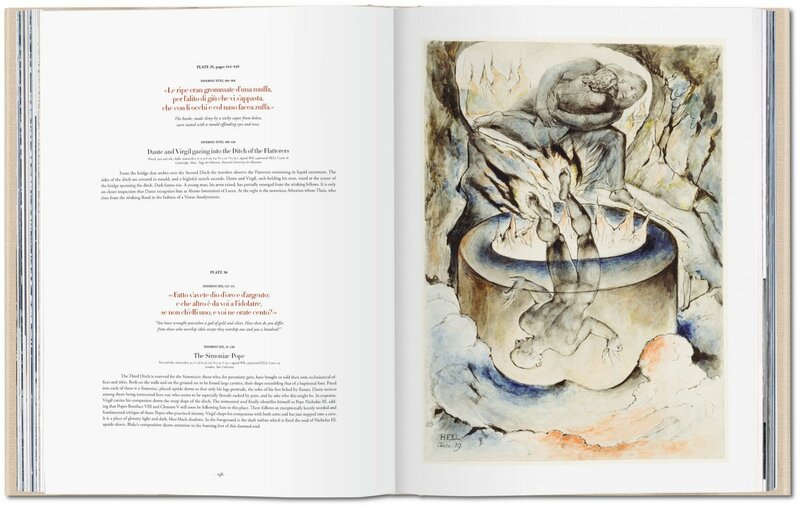 Two creative masterminds and universal themes of love, guilt, revenge, and redemption come together in this exceptional edition of William Blake’s 102 illustrations for Dante’s The Divine Comedy.The XL-sized volume includes 14 fold-out spreads, two introductory essays tracing Dante’s legacy in the visual arts, and excerpts from the Commedia itself. 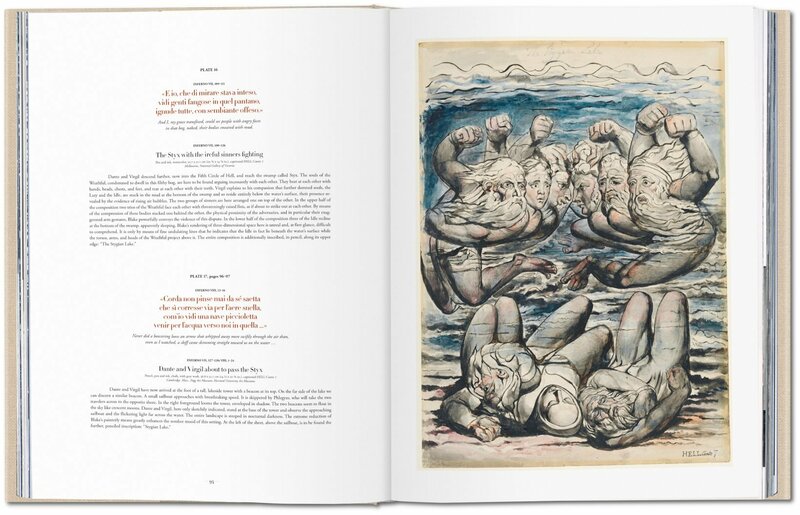 Celebrated around the world as a literary monument, The Divine Comedy, completed in 1321 and written by Dante Alighieri (1265–1321) is widely considered the greatest work ever composed in the Italian language. The epic poem describes Dante's journey through Hell, Purgatory, and Heaven, representing, on a deeper level, the soul's path towards salvation. In the last few years of his life, Romantic poet and artist William Blake (1757–1827) produced 102 illustrations for Dante’s masterwork, from pencil sketches to finished watercolors. 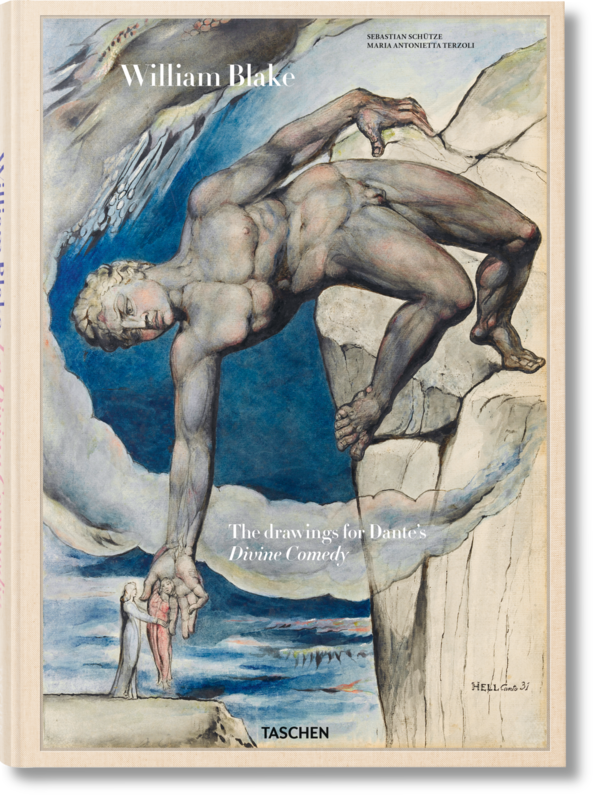 Like Dante's sweeping poem, Blake's drawings range from scenes of infernal suffering to celestial light, from horrifying human disfigurement to the perfection of physical form. 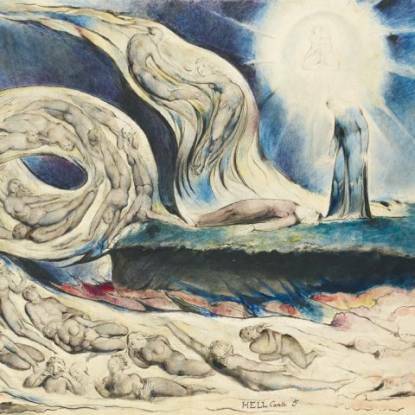 While faithful to the text, Blake also brought his own perspective to some of Dante's central themes. Today, Blake’s illustrations, left in various stages of completion at the time of his death, are dispersed among seven different institutions. 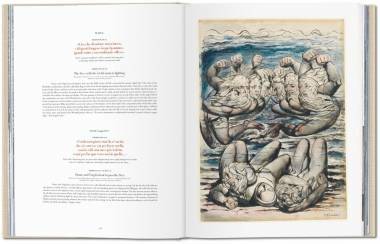 This TASCHEN edition brings these works together again, alongside key excerpts from Dante's masterpiece. 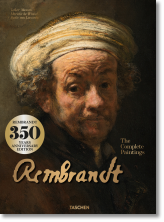 Two introductory essays consider Dante and Blake, as well as other major artists who have been inspired by The Divine Comedy, including Sandro Botticelli, Michelangelo, Eugène Delacroix, Gustave Doré and Auguste Rodin. 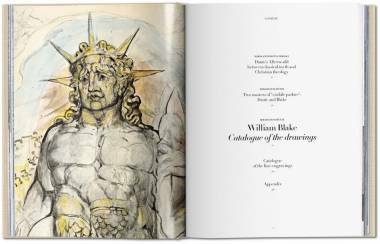 With a close reading of Blake’s illustrations, and 14 fold-out spreads to allow the most delicate of details to dazzle, this is a breathtaking encounter with two of the finest artistic talents in history, as well as with such universal themes as love, guilt, punishment, revenge, and redemption. After studying in Pavia, Bologna, and Geneva, Maria Antonietta Terzoli taught at the universities of Geneva and Zurich. 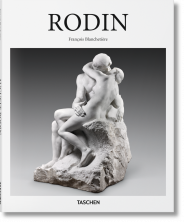 Since 1991 she has been a professor at the University of Basel, where she is head of the department of Italian Studies. A philologist and interpreter of literary text, she specializes in Italian literature.